In 2013, Conoco Phillips informed the Government of T&T they were selling their 39% stake in Phoenix Park Gas Processors Limited (PPGPL). The reason – restructuring aimed at an increased focus on their upstream business. Their departure, on the surface, looked like a loss but it represented an opportunity for T&T. PPGPL’s core business is natural gas processing, natural gas liquid (NGL) aggregation and fractionation. If our country’s natural gas infrastructure was a human body, PPGPL would be its heart. PPGPL’s revenue is dependent on the volume of natural gas it processes, the amount of liquids that can be removed from that natural gas and the price it gets for its products. Immediately the NGC set out to acquire Conoco Phillips’ 39% stake in PPGPL. The NGC and NEL had already owned 51%. Ten percent (10%) was owned by General Electric. They had acquired it from Pan West Engineers. That 10% was eventually sold to a consortium of UTC, NIB and NEL in late 2014. From the onset, I made it clear to Conoco Phillips that the Government saw the 39% as strategic and wanted it. The NGC participated in a competitive process and eventually its offer of US$ 600 million was accepted by Conoco Phillips. When I announced the acquisition in August 2013, I said, “For too long the energy sector has been divorced from the stock exchange. When one looks at the stock exchange, the stock exchange is not a reflection of the national economy. You see banking. You see manufacturing. You see insurance but there is little or no representation there of the country’s main economic driver, and this is something we want to change through this Phoenix Park acquisition.” In nominal terms, the acquisition was the largest ever by the Government in the history of the energy sector. The next step was the Initial Public Offering (IPO). We proceed with the TTNGL IPO against great odds. There were many times it could have been derailed. The FCB IPO, while very successful, was stained by allegations of insider trading which cast a shadow over the TTNGL IPO. There was concern that there could be a repeat of what happened with the FCB IPO. In the end, the Cabinet and the Ministry of Finance were assured that steps were taken to prevent a reoccurrence of what happened at FCB. We learned from that experienced, we made changes and moved forward. There was also no end of criticism. Dr. Rowley called for it to be aborted. Mr. Imbert said it was a fire sale. In T&T if you’re doing something new and progressive expect criticism. If you believe what you’re doing is in the best interest of the country – stay the course. We stayed the course. We proceeded with the launch of the IPO in August 2015 and offered the shares at TT$ 20. That too was criticized as being too high. If you examine how the shares have been trading in the last year between TT$ 21 and TT$ 24 per share, it fair to say we got the offer price right. To date no one has lost money on this IPO. The NGC has lost no money. Investors have seen their capital appreciate and they have gotten good dividends. In fact, TTNGL has a cumulative dividend yield of 15% based on it paying TT$ 3.00 per share since it was listed. Its dividend yield at the end of 2016 was 7.14% which is the best on the stock exchange. 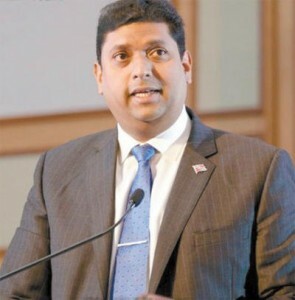 TheTTNGL IPO remains the largest IPO in the history of T&T. It was 1.77 times oversubscribed. It was a success. It ushered in a new era for the T&T stock exchange. It linked the energy sector to the financial sector. It changed the ownership of the energy sector which had hitherto been concentrated in multi-nationals and the State. This was economic democracy. The PNM Government has continued with the policy of public offerings that was initiated by the PP Government with the FCB IPO and the TTNGL IPO. The 2017 FCB Additional Public Offering (APO) was disappointing for several debatable reasons. The NGC has pressed ahead with its own APO of the remaining 40,248,00 class B shares in TTNGL. I suppose every good movie deserves a sequel. PPGPL is a well-run company and that continues to the present day. It has one of the best safety records in the energy sector and most importantly has never lost money. In the worst of times when price for its products collapsed, PPGPL still made money. Since the company is run as a business and not an employment agency it has been able over the years to have a low-cost structure. One other bright spot is the BP Juniper project which will start production early next month. This will see an 18% increase in the country’s natural gas output. Why is Juniper relevant to TTNGL and PPGPL? Any increase in natural gas production is good news for PPGPL given its business model as a natural gas processor and liquids aggregator. It’s good to see that the current Government has followed its predecessor and continued with public offerings. The country can only benefit from wider ownership of energy assets.